Home of the pampered hens! Our chicken coop which will soon have a completed sunbathing/dustbathing addition! Relaxing inside with her hens is our resident chicken guru. Our chicken voyage began in 2005. 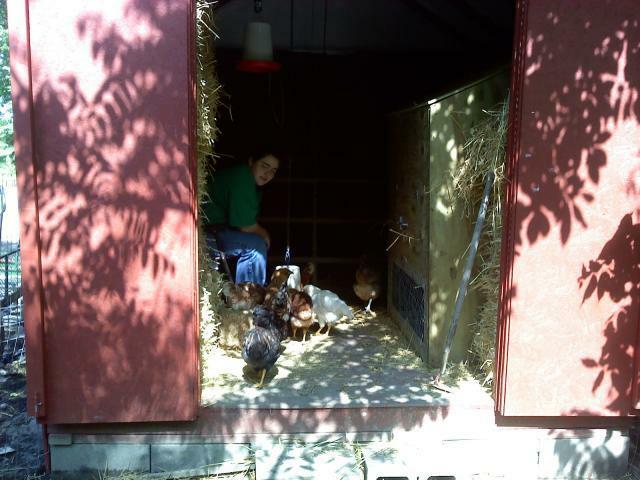 I took care of the flock until my daughter was old enough to take on the responsibilities as a home school project. 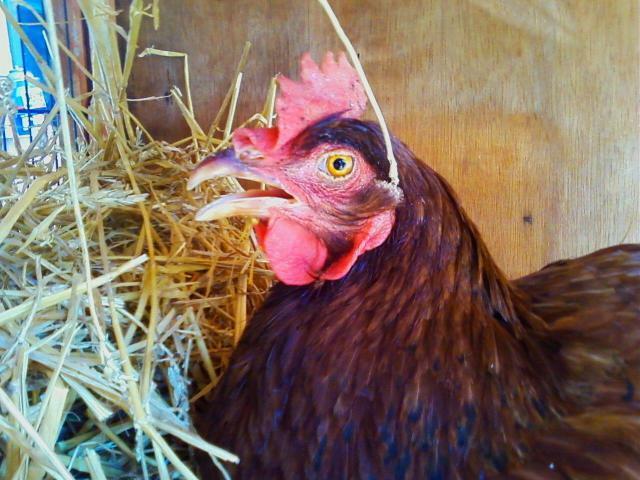 She is in love with everything chicken-related, has devoted many hours studying about them, and is a frequent contributor to BackYardChickens.com! Our growing flock is a source of endless entertainment. Our ladies are cherished pets that coincidentally give us such beautiful eggs. And their eggs are always in demand!